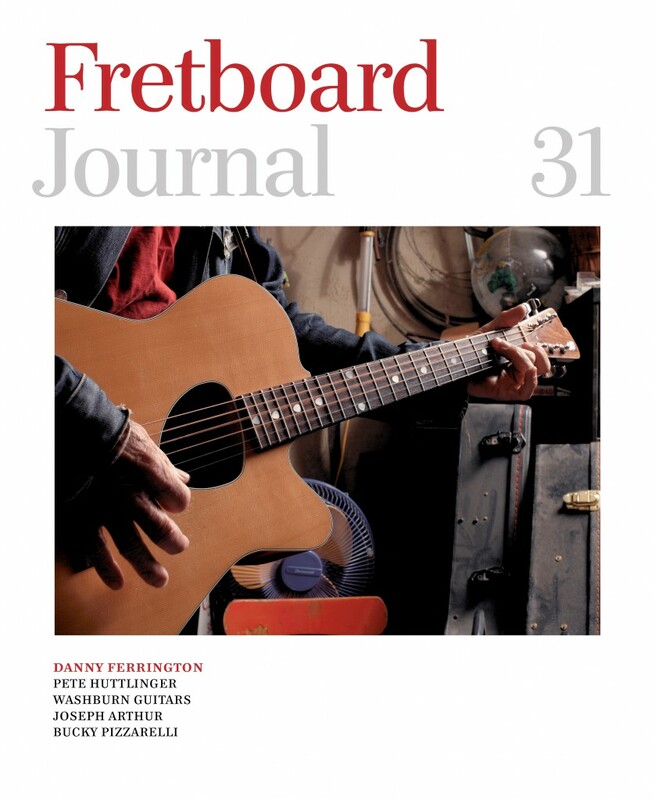 As always, the FJ is printed on keepsake, coffee table book paper and boasts the highest production standards the world of guitar media has ever seen. Subscribe here and we’ll make sure you get the latest issue along with our monthly subscriber-only digital premiums and much more. 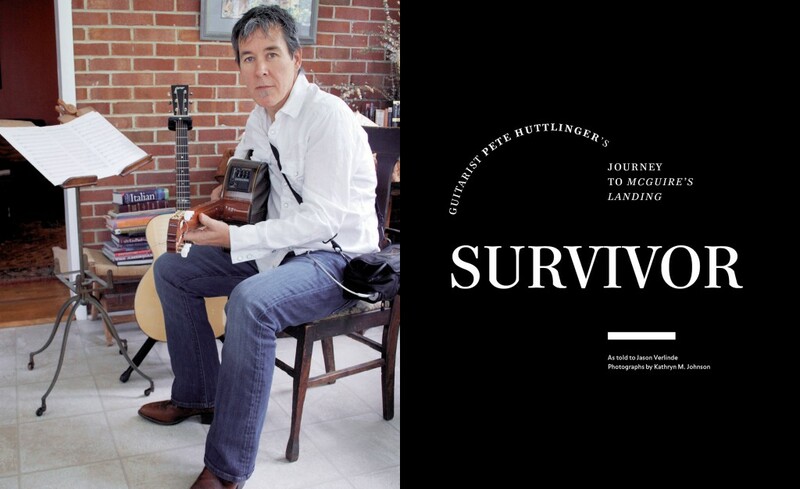 Fingerstyle virtuoso Pete Huttlinger recounts a career filled with twists, turns and medical scares, including stints with John Denver and his latest album, McGuire’s Landing. Check out this teaser online. Philadelphia’s Fred Oster is one of the stringed instrument world’s most respected experts. He can often be seen on PBS’ Antiques Roadshow and he’s one of a few individuals who is turned to for appraisals on both multi-million dollar Stradivarius violins and rare guitars and banjos. Andy Volk takes a trip to Oster’s Vintage Instruments headquarters, a gorgeous 19th century mansion that is equal parts guitar store and museum. At the age of 88, Bucky Pizzarelli has seen it all. With that in mind, Brian K. Saunders asks the jazz legend for some quick advice on the tunes that every guitarist should master. The elder Pizzarelli walks us through a Fake Book 101 class. Don’t forget to check out the FJ’s exclusive videos with Bucky here and here. Danny Ferrington’s client list reads like a who’s who of music legends and Hollywood’s elite. 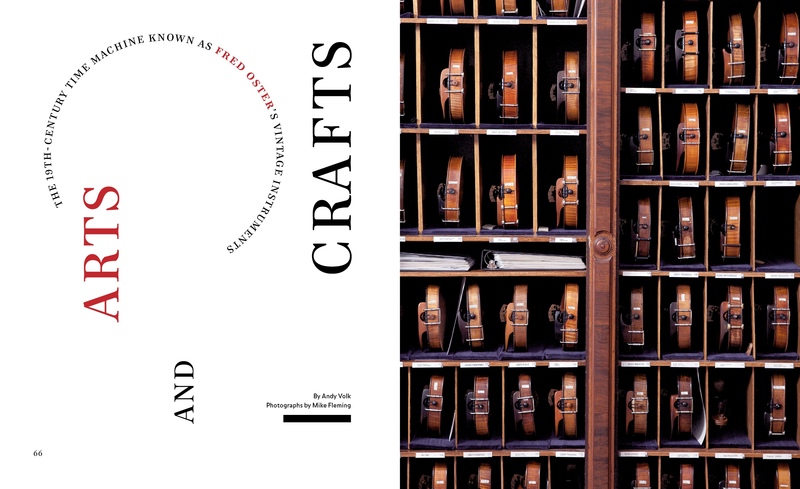 He’s built guitars for Johnny Cash, Richard Thompson, Keith Richards and Ry Cooder (to name a few) and was celebrated in that awe-inspiring coffee table book in the 1990s. Writer Adam Levy spends time with Ferrington and discovers that the luthier is still at it, pushing the boundaries of acoustic and electric guitar construction from his workshop in Santa Monica. 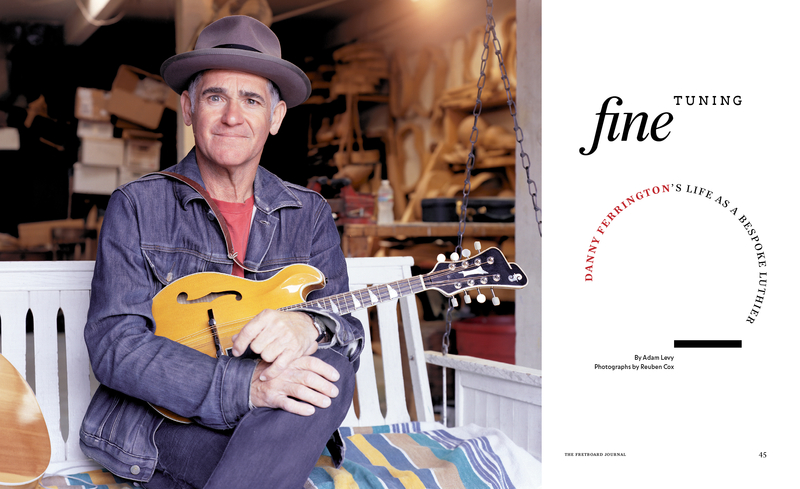 In this lengthy cover story, we get never-before-seen photos of Ferrington at work as well as some of his wildest recent creations.